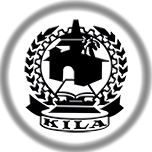 Kerala institute of local administration (KILA), Thrissur is recognised as a Research Centre of Central University of Kerala and attached to the Department of international Relations vide order dated 14th July 2014. As per UGC rules, each research guide of KILA is allotted to take a maximum of 8 Research Scholars. The students who are registered as Central University of Kerala Research Scholars with KILA.